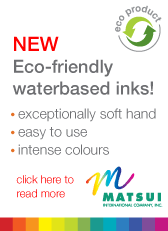 all graphic ink systems and is highly resistant to water-based UV graphic ink systems. Sericol 125 is a one pot system with an ultra-fast exposure speed, easy decoatability with outstanding resistance to plastisol and water-based textile inks. Chromaline CP2 is a Diazo sensitized direct emulsion for use with solvent, plastisol and UV inks. An universal photo emulsion for all inks that resists solvent lock-in from lacquer thinners and mineral spirits. Excellent durability to withstand long runs. UDC-HV is a photopolymer dual cure direct emulsion for the broadest range of applications. UDC-2 is a photopolymer dual cure direct emulsion for the broadest range of applications. Autotype +7000 is a Diazo Sensitised Water & Solvent Resistant Direct Emulsion.